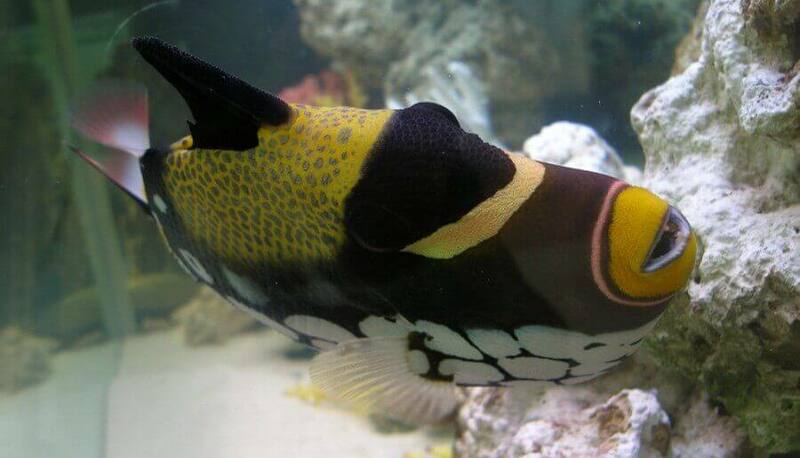 Algone maintains a low nutrient aquatic environment, preventing common aquarium problems related to poor water quality. Ben Franklin is quoted as saying “an ounce of prevention is worth a pound of cure”. That most certainly applies to aquarium maintenance. 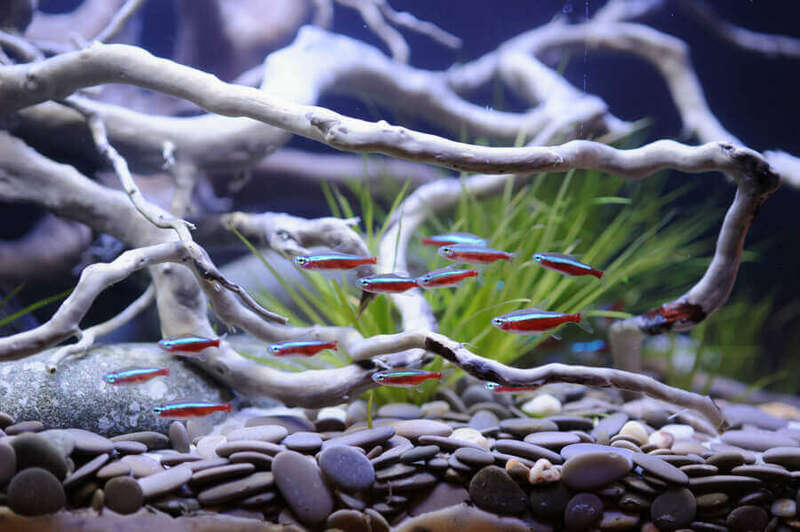 Regular aquarium maintenance is not limited to water changes, some cleaning of the glass & filters, or a simple vacuuming of the gravel. While those actions are important, an extended maintenance program is essential and extremely beneficial. Even a moderately stocked aquarium is more densely populated then any natural aquatic environment. 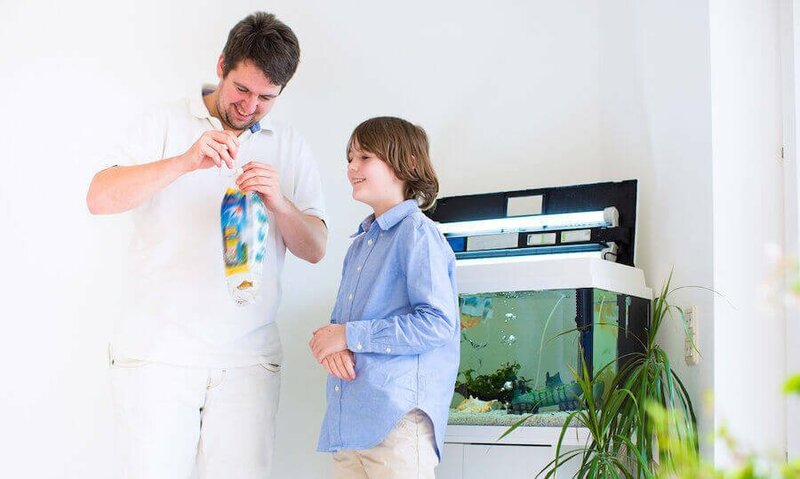 Therefore, waste will accumulate much quicker and must be managed in order to keep the aquarium healthy. 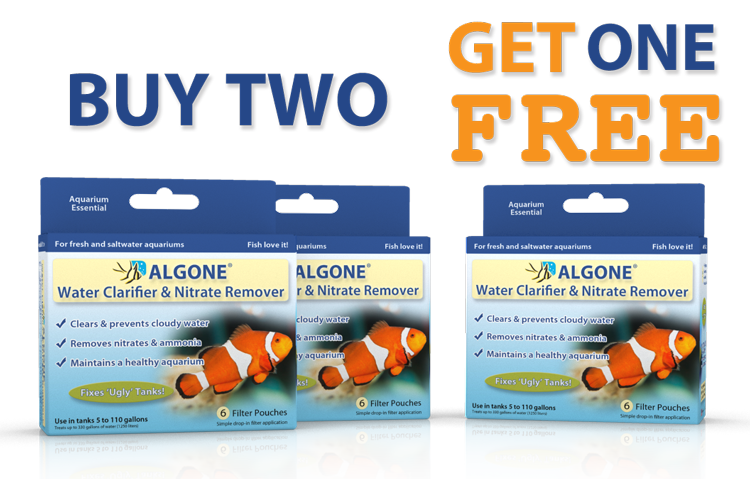 Algone continuously removes waste from the water – the benefits of this are clear… literally! 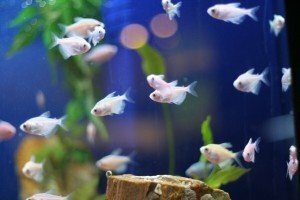 Accumulating waste is the cause many common aquarium problems. 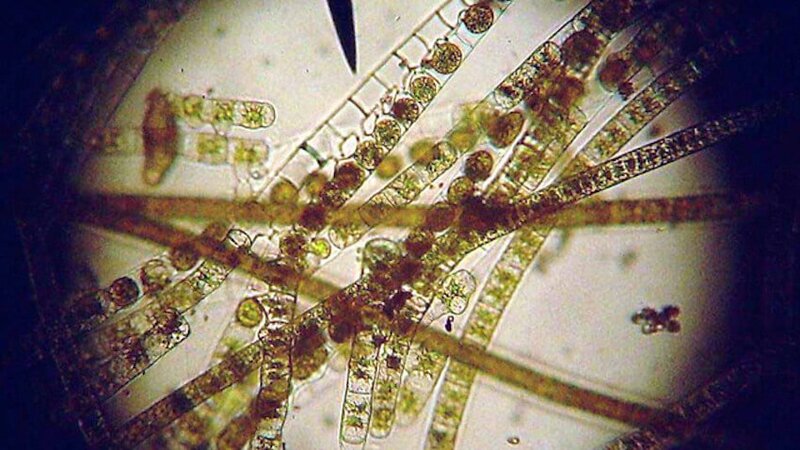 Algae growth, green aquarium water, cloudy water, fish stress and disease are just a few examples. Decaying organic waste in the aquarium results in ammonia, nitrite, and finally nitrate. 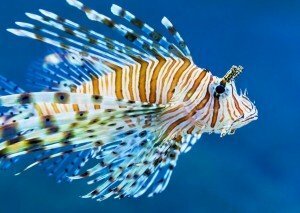 Ammonia and nitrite are highly toxic and will cause extreme stress on fish, leading to death in cases of prolonged exposure. 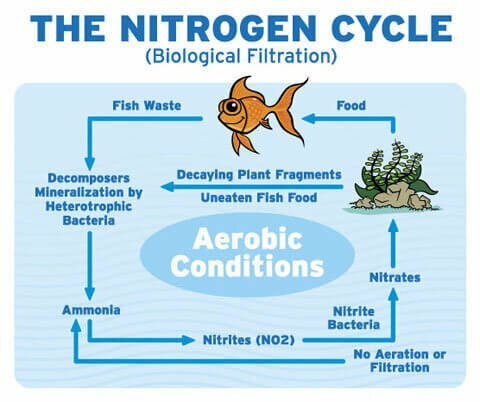 Nitrate promotes green water and algae growth, because it is the ideal food for algae. It’s a fertilizer! 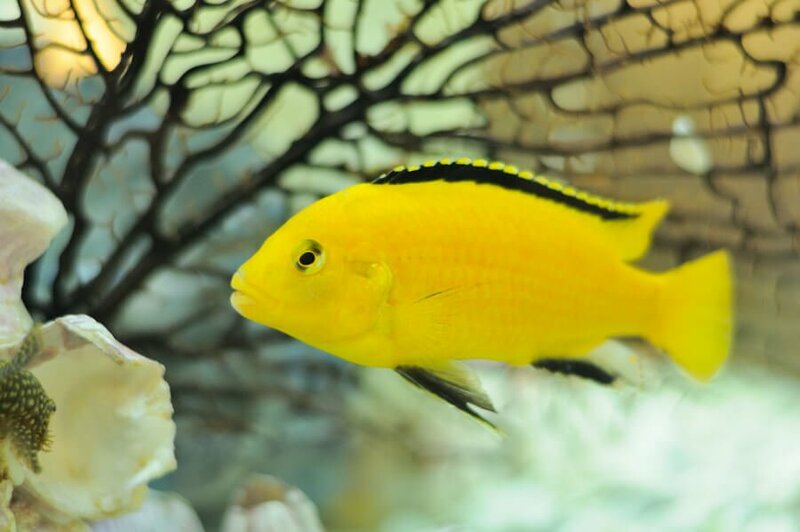 High nitrate levels cause green aquarium water and algae outbreaks. 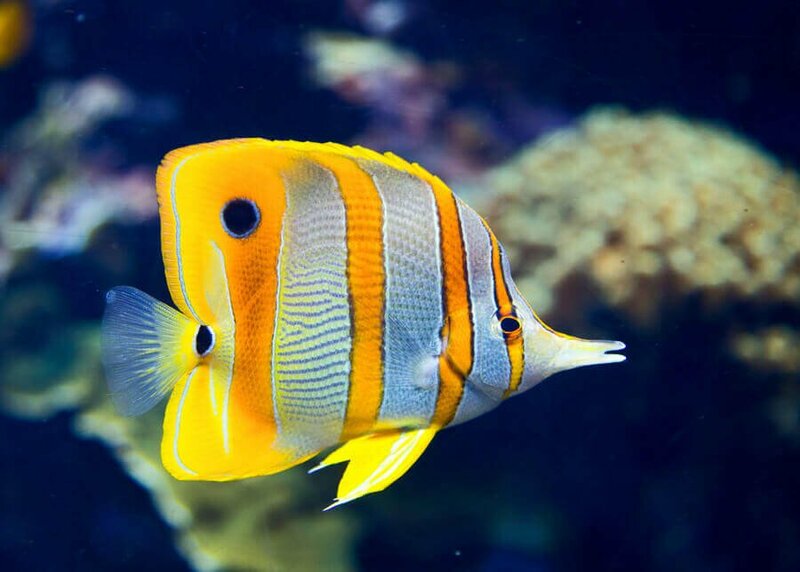 The aquarium filter removes waste particles from the water, but it does not remove them from the aquatic environment. Waste trapped by the filter continues to decay, resulting in the production of ammonia, nitrite, and nitrate. 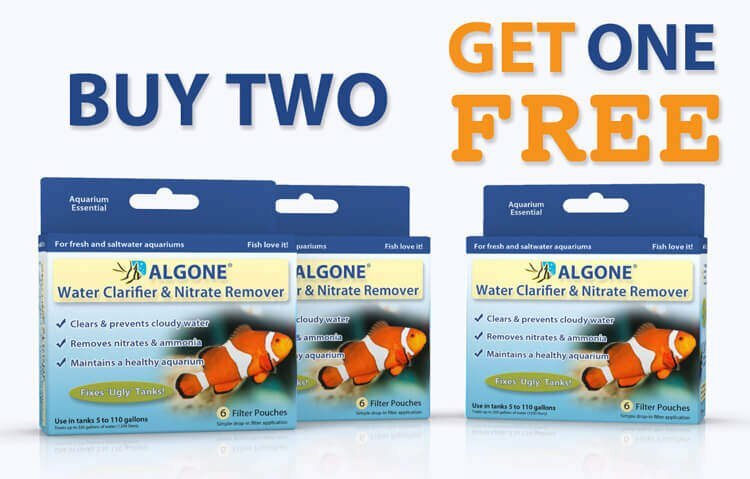 Regular use of Algone efficiently removes these nutrients, preventing their negative impact on the health and appearance of the aquarium. Absorbed nutrients are safely retained within the Algone pouch. They will not release them back into the water. 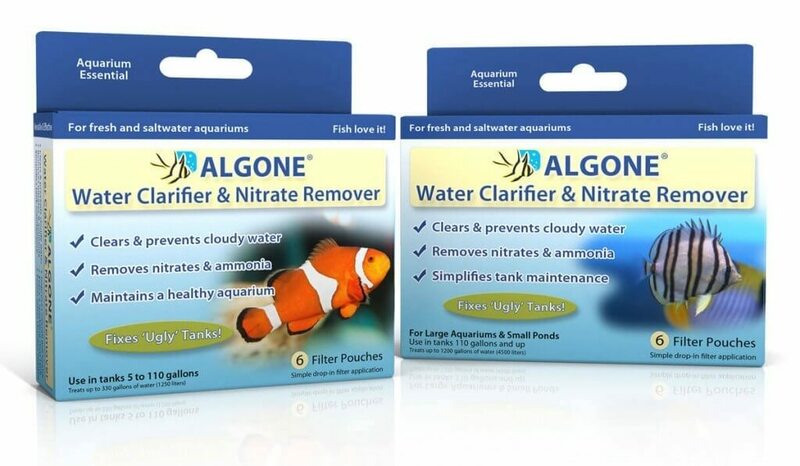 While water changes, as well as filter & gravel cleanings are vital maintenance tasks, Algone balances and maintains a healthy tank in between physical maintenance.